Drilling mud filtration occurs during an overbalanced drilling activity and concurrently with mud loss through pore throats and fractures. Mud loss and filtration are increased when the wellbore fluid condition is in a dynamic mode (pipe rotation and/or fluid circulation), rather than static. Formation damage is a critical industry challenge that results from mud loss and filtration. There is a considerable amount of experimental studies with only a few modeling approaches for characterizing dynamic mud filtration. Most of these studies have not accounted for factors that can exacerbate mud filtration which includes but not limited to: temperature, pipe rotation, pip/wellbore geometry/eccentricity, and porous media complexity. In this study, two mathematical and computational modeling approaches that can be used to predict dynamic drilling mud filtration in a radial coordinate system are presented. In the first modeling approach, a mechanistic model that is based on a material balance of filter cake evolution is presented. Critical factors that impact dynamic–radial mud filtration (temperature, rotary speed, rock permeability, and rock porosity) and other factors (wellbore/reservoir dimensions, filter cake properties, and mud/filtrate rheological properties at reservoir temperature) were accounted for. The model was solved with a numerical approach and commercial software. In the second approach, a scanning electron microscopy image of selected dry core samples, combined with image processing, was used to estimate the pore size and porosity of the internal filter cake. The pore structure of the rock samples and filter cake was modeled using the bundle of curved tubes approach. The deposition probability of mud particles was considered through filtration theories. The modeling results were validated with dynamic–radial filtration experiments. The results from both models closely matched the experimental results. On average, the models revealed no more than 4% relative error in predicting dynamic mud filtration. The novelty in both approaches is the incorporation of critical parameters in the models over a wide range and their responses to cumulative filtrate invasion in different rock types. 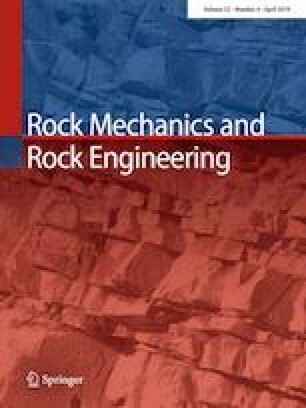 The authors would like to thank Raj Kiran, Dr. Mark Cutis, and Jeff McCaskill at the Mewbourne School of Petroleum and Geological Engineering, The University of Oklahoma for their support in this study. The filter cake thickness (δ) is a function of wellbore radius and filter cake radius (δ = rw − rc).